In 2010, Yasmine El-Mehairy was looking online for pregnancy advice for her sister-in-law. She soon encountered conflicting opinions and found not expert input that could clarify the contradictions. In reaction to her searches, Yasmine, with the help of Zeinab Samir, with whom she had worked, decided to create a website providing tips and expert advice for mothers and mothers-to-be. While chat forums for mothers existed in the Arabic world, the information provided there was not verified by experts. 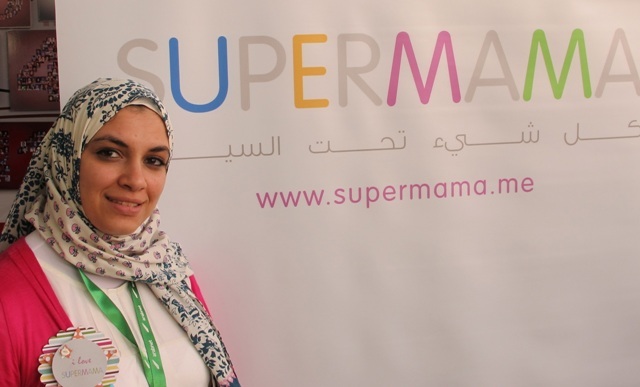 This rendered SuperMama the first veritable online parenting community for mothers in the Arab world. The site addresses topics that range from pregnancy and parenting to cooking advice. It has content in Arabic and English and is entrepreneur-of-the-week”>divided into six main sections: Pregnancy, Parenting, Kitchen, Homes, Me time, and SuperPapa. The last section is designed to help men better understand mothers and mothers-to-be, given that 10 to 15 percent of the site’s visitors are men. Although still new on the market, the website has already won a considerable number of prizes. In 2010, out of 3,800 applicants, it was selected as one of the 20 semi-finalists the MIT Arab Enterprise Forum Business Plan Competition, which allowed Yasmine to make important contacts in the IT industry, who contributed to the website’s development. It also won the NexGen IT Competition, an Innovation Competition based in Poland, Arabnet Cairo and was chosen as a finalist in the Google Ebda2 Competition.Winning these contests ensured the website not only mentors, but investors as well. In terms of her future plans, Yasmine hopes that, by 2015, SuperMama will become the number one Middle Eastern website for women. At some point, she would also like to have a radio or TV program and to start mentoring other young entrepreneurs, in order to give back some of the help that received.